Perfect for any Roblox Fan! 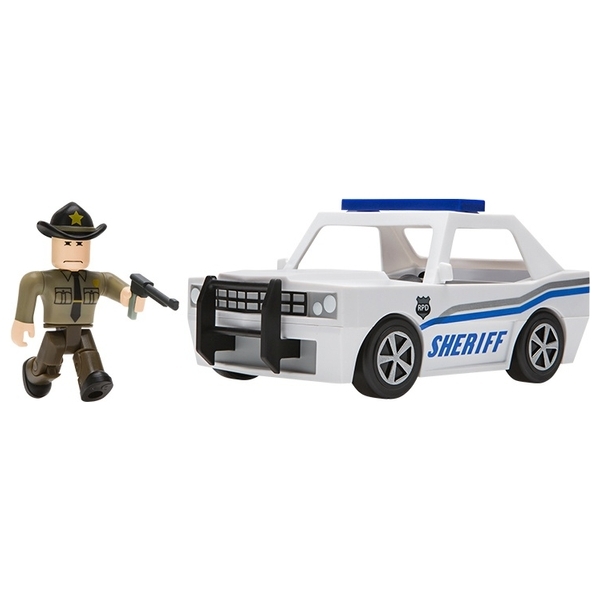 ROBLOX Sheriff Vehicle is ideal for any Roblox Fan! From Q_Q's hit role-playing game comes The Neighborhood of Robloxia’s most hard- boiled law officer yet. There’s a new sheriff in town, and he’s about had it with the bad guys muddying his home. Partner up and track criminals in his ultra-fast cruiser to help save the day!